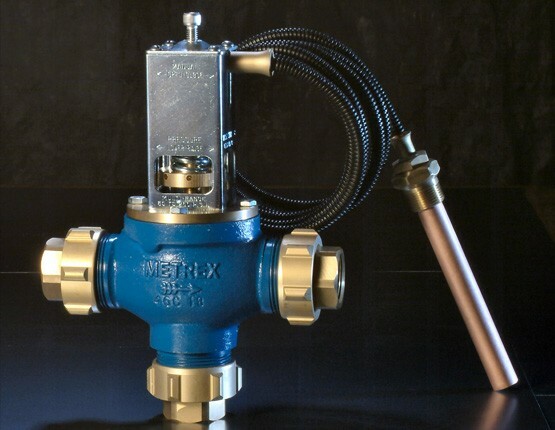 Metrex Valve is a manufacturer of valves for heat exchange control including water-cooled HVAC for commercial, industrial, marine, military shipboard and nuclear service. Includes standard and custom self-contained self-operated designs in both direct-acting and pilot-operated models offered from 3/8 in. thru 8 in. line sizes. 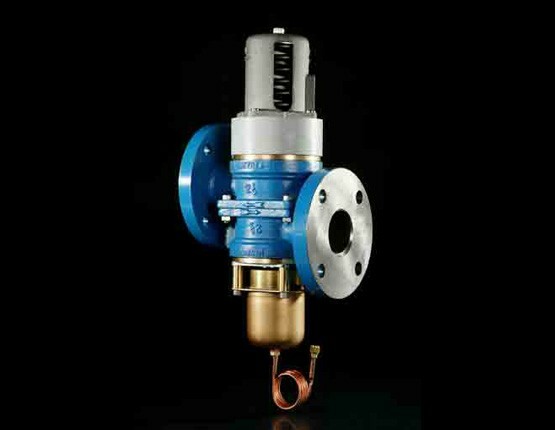 Control of cooling media (water, glycol or seawater) can be effected by refrigerant pressure, thermostatically actuated and electrically actuated models for HVAC, refrigeration and other heat exchange applications. 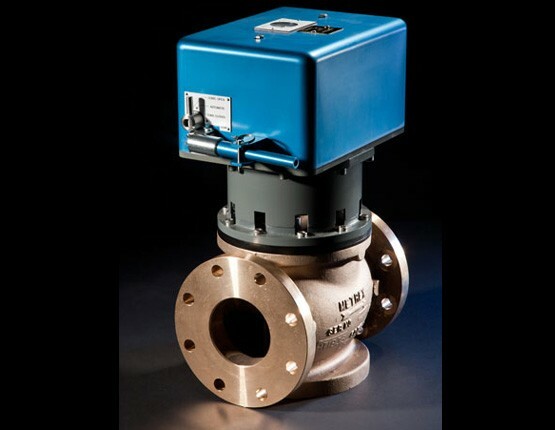 Materials of construction include brass, 300 series stainless steel and cast iron for commercial and industrial freshwater applications; bronze alloy, NiCu (Monel®) CuNi and high performance stainless steel alloys for marine salt water service. 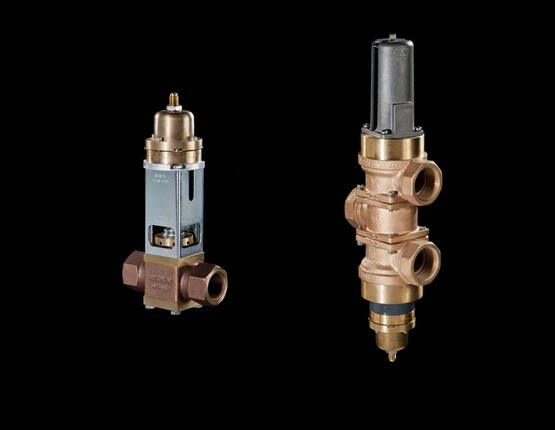 Standard & high pressure models (for both water side and refrigerant side service) are available. Markets served include: commercial and industrial chemical, chemical processing, pharmaceutical, manufacturing, marine, military shipboard, nuclear HVAC & other cooling and heat exchange applications. 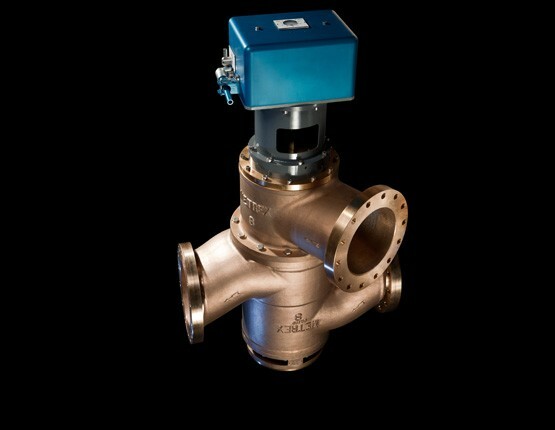 Products Include: Water Pressure Reducing Valves, Water Regulating Valves, R410a Valves,Water Pressure Regulating Valves, Seawater Condensing valve and Marine Valves.